Adrian P Conn B.Sc., M.Ch.S. Adrian qualified from the University of Huddersfield in 1994 and started his career in the NHS working initially in Sheffield, South Yorkshire and then in Gainsborough, Lincolnshire. Over these first 7 years he developed a range of clinical skills including General Podiatry and Nail Surgery. He joined the Podiatric Surgery Department in 2001 and worked from both Grantham & District Hospital and John Coupland Hospital, Gainsborough, where he developed his skills in Advanced Anesthesia and Assessment. He was responsible for the day to day management of the department. 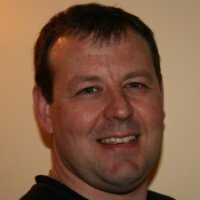 In 2004, Adrian moved to the NHS in Rotherham, South Yorkshire where he became the Head of Podiatry and Service Manager. He led a team of 20+ staff and developed a highly successful and award winning Podiatry service. He maintained a clinical commitment in general Podiatry and Podiatric Surgery throughout this time. Adrian left the NHS in 2012 to pursue a career in private practice. Adrian’s clinical interests are General Podiatry, Surgery and Biomechanics. Sharon McDonald B.Sc. (Hons), M.Ch.S. Sharon qualified from University College Nene, Northampton in 1999 and started her career with the NHS in Derbyshire. Working in this rural location for 9 years, Sharon developed her clinical skills especially in General Podiatry and Biomechanical Assessment. She joined the Podiatric Surgery departments in Chesterfield, Derbyshire in 2001 and John Coupland Hospital, Gainsborough in 2003 and developed her advanced anesthesia and assessment skills. Sharon took on the role of Clinical Lead for Biomechanics in Doncaster, South Yorkshire in 2008 and became responsible for the delivery of Biomechanical care to the local population. Sharon still works for the NHS and undertakes private practice on a part time basis. 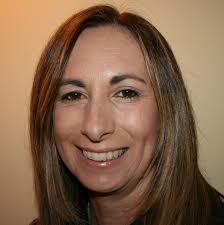 Sharon’s clinical interests are General Podiatry, Biomechanics and Acupuncture.